RAC Dental Laboratory is a leading Dundee-based dental laboratory. We are a full service laboratory which has been producing high quality Dental work for over 30 years. We specialize Denture work ranging from our quality NHS dentures to our Private Highly Cosmetic Dentures with Natural Gum Staining. 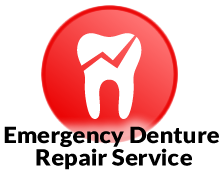 We pride ourselves on providing our clients and patients with a fast and friendly service they can rely on. We would like to take this opportunity wish all our clients a Very Merry Christmas and a Happy New Year. The Lab will close on the 22nd of December and reopen on the 4th of January. The Lab is a member of the DLA and we are Damas and MDD registered. All the technicians are GDC registered. At present the Laboratory has a daily pickup and delivery service covering Dundee, Angus, Fife and Perth. Please Contact the Laboratory for further information. We are registered members of the UK Dental Laboratory Association. All work is carried out in Scotland to British clinical standards.